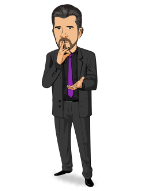 Today, when you order "Banachek's Pre Thoughts", you'll instantly be emailed a Penguin Magic gift certificate. You can spend it on anything you like at Penguin, just like cash. Just complete your order as normal, and within seconds you'll get an email with your gift certificate. Banachek's Pre Thoughts (Book) More than a set of lecture notes, this is a complete mentalism act from start to finish as used by Steve Shaw (Banachek). Excerpts can be used as stand-alone in your show! 20 page spiral-bound booklet includes detailed illustrations and instructions. An awesome prediction effect using four chairs. I have used this on stage and its a great piece of mentalism. Essentially, you are able to predict which chair will be left empty by the spectators. They have a free choice of which seat to sit in and they can change their mind at any point. A volunteer has been holding your prediction the entire time, and at no point do you go near the prediction or switch it in any way. This is an awesome add a number effect. Banachek teaches you how to make your own add a number pad without have to buy one. I have used this on stage as well, and it works really well. MY COPY OF THIS BOOKLET HAS BEEN SIGNED BY BANACHEK!!! Thinking of trying out mentalism? Then this is a must have. I used part of this routine as part of my act for about a year on stage. I've moved on since, but when I was a budding mentalist, this proved to be an invaluable resource. The material is very simple and Steve gives great pointers on how to make the presentation great. He actually provides the entire script if you need one. I've personally never used his script (doesn't match my style, at all) but it is still a good one. Highly recommended and a great bargain! my first mentalism show was ripped straight from these pages and played very well for everybody in the audience. i still have people requesting items from this show on a regular basis. seriously this will pay for itself after the first performance, and only minimum practice is involved!! you cant beat it! I am a beginner mentalist and have purchased a lot of products to get me started, and this was one of the best. The routine is so simple but the effects are killer and the reactions are priceless. Cheers, Penguin, you are the best!!! Pre-Thoughts has several techniques that pay for the book many times the already low price. As you read on past the first two pages you realize you have just received an actual show that you can market and perform. This is an amazing book by Banachek. Any Mentalist, amateur or professional, needs this in their library. Do yourself a favor and pick it up now! This is an entire show and the comedy was good. This is a full routeen. Which is great. Granted the patter is a little outdated but who uses all the patter given to them rather then come up with their own anyway? The chair test is a very basic chair test. It is a foolproof chair test though and that is great. The whole book overall is great and did I mention it is a full routeen? So if you have a show to do on the side and do not want to use anything from your current gig then this is a great way to go. Since it is authored by Banachek everything is explained very clearly without going on and on. Very well written. This booklet is a full effect and is a great act. I can;t wait to perform this in my act. You get Banacheks entire script and presentation surrounding them. This is a must have!! ADD IT TO YOUR CART NOW! !